Congress has declared the opioid crisis a national emergency. It’s a crisis that cuts across social and economic classes. Pain medication has legitimate uses, but the dangers of falling into addiction can be great. Research shows that most Americans became addicted to opioids while taking legal medication prescribed by a doctor. 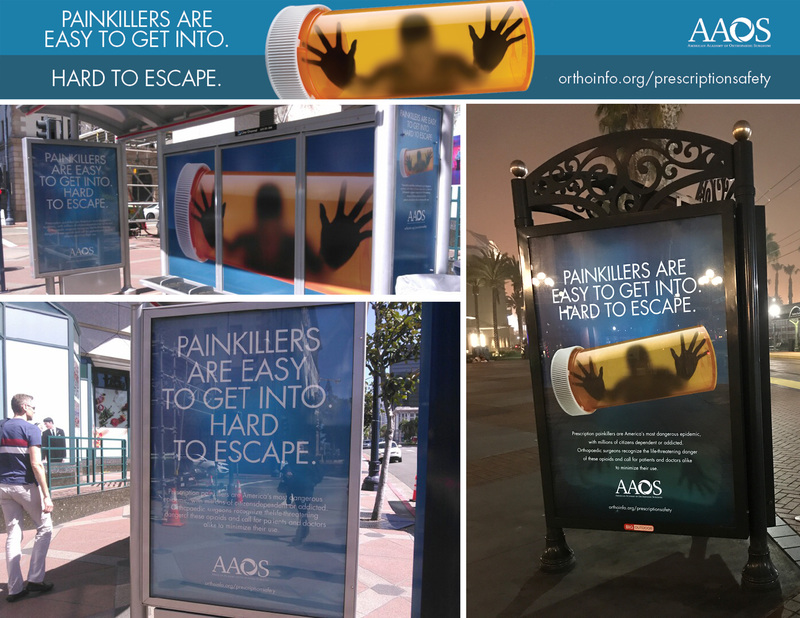 The American Academy of Orthopaedic Surgeons started an education program to warn people about the power of pain medication. The organization is pasting bus stops with banners to drive home the point. In a creative display, the banners look at the situation from the inside out. The final deadline for entry to the 2017 MarCom awards is Friday, September 15. To enter your work, visit here.